The Virginia Board of Nursing has decided to grant Hampton University BSN Education Program FULL PROGRAM APPROVAL status. 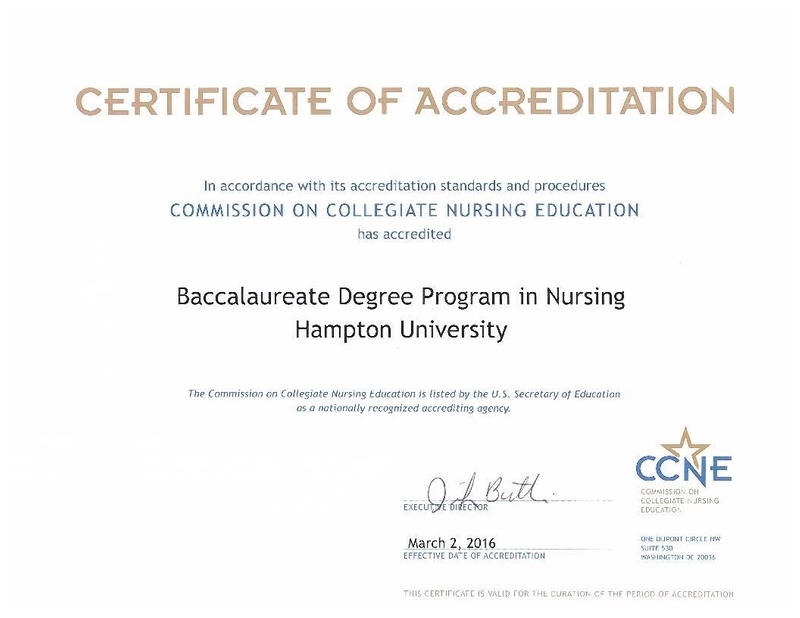 Based on the results of the recent survey visit, the baccalaureate degree registered nursing program at Hampton University College of Virginia Beach will continue on full approval. The next survey visit will be conducted in 2026. View information ? | Read document ? | View Certificate ?